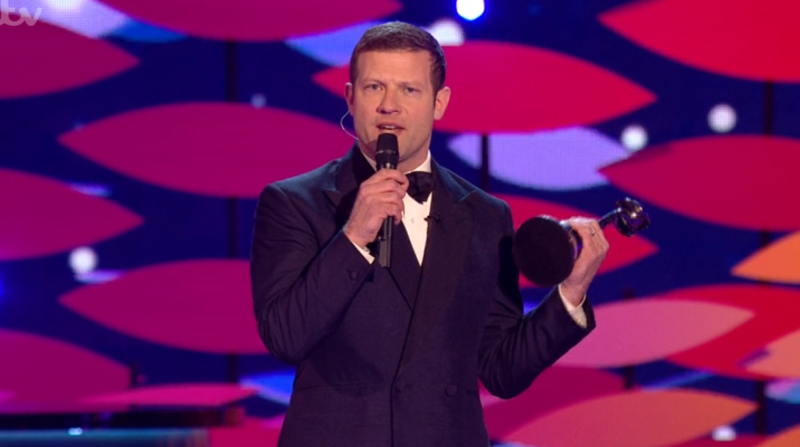 Dermot O'Leary couldn't help but poke fun at Holly Willoughby during last night's National Television Awards. 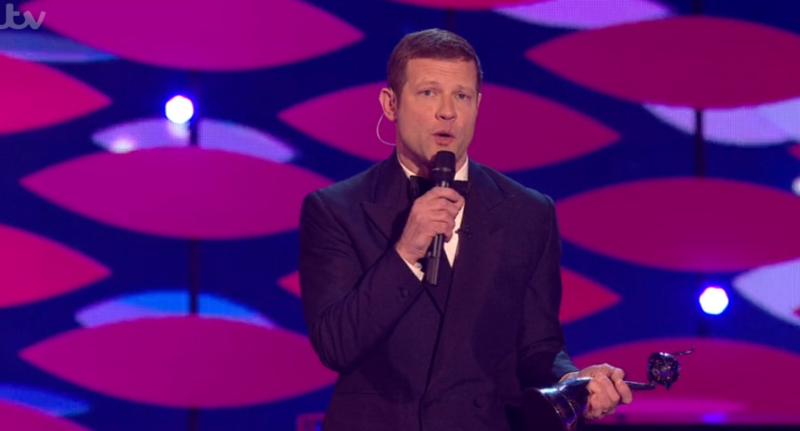 Opening the ceremony on Tuesday night, the presenter made a cheeky remark about Holly in front of the entire audience. He told viewers: "I am delighted to be your host this evening for one of the few remaining shows on ITV not hosted by Holly Willoughby." As the camera cut to Holly sitting in the audience, she looked stunned before giving a huge smile to the camera. Dermot jokingly added: "Although negotiations are still on-going.." as the audience laughed. Holly, 37, is known for her role on ITV's daytime show This Morning alongside Phillip Schofield. She also co-hosted last year's series of I'm A Celebrity... Get Me Out Of Here! alongside Dec Donnelly, as his telly partner Ant McPartlin took most of the year off to focus on his recovery. The mum-of-three also presents Dancing On Ice alongside Phil and is a regular team captain on ITV2's Celebrity Juice. Last night, This Morning bagged the Daytime TV award after beating Good Morning Britain, The Jeremy Kyle Show and Loose Women. I am delighted to be your host this evening for one of the few remaining shows on ITV not hosted by Holly Willoughby. On Wednesday morning, Holly thanked fans on Instagram following a boozy night. Posting a picture of her and Phil swigging from a hipflask, she thanked everyone who had voted. She wrote: "Wow...what a night....Thank you!!!!!!! You are the best... we love doing the show and LOVE that you love it too... see you soon, although you may be a little blurry!" Back in 2016, the duo infamously turned up for work still drunk and even in the same clothes as the previous evening after their win at the NTAs. Were you glad This Morning won the Daytime TV award? Leave us a comment on our Facebook page @EntertainmentDailyFix and let us know!